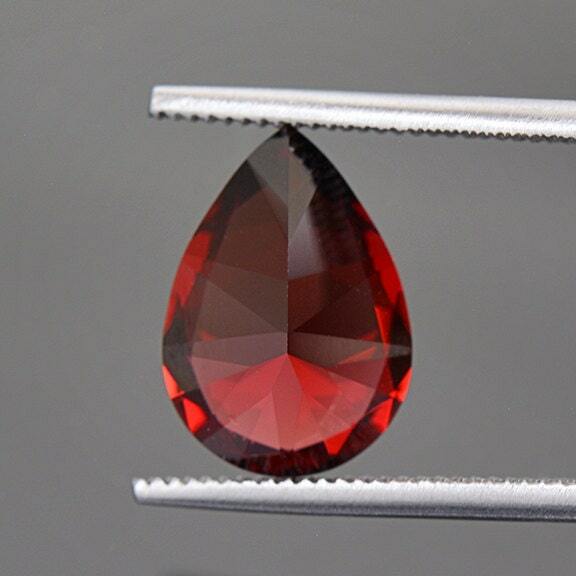 Rich Red Orange Umbalite Garnet Gemstone from Tanzania 5.25 cts. 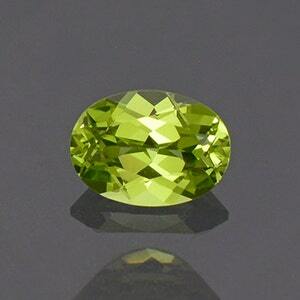 Umbalite is a chemical hybrid of Almandine, Pyrope and Spessartine Garnets. 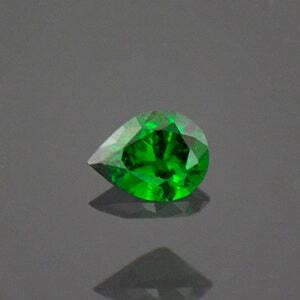 This attractive Garnet variety is named after the location where it was first found; which is the Umba River Valley in Tanzania. 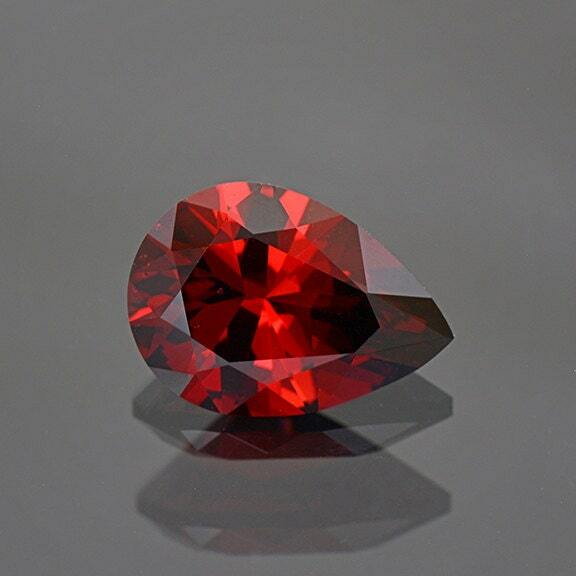 This gem exhibits a beautiful deep red/orange color that is rich and regal. The clarity is exceptional, absolutely water clear. 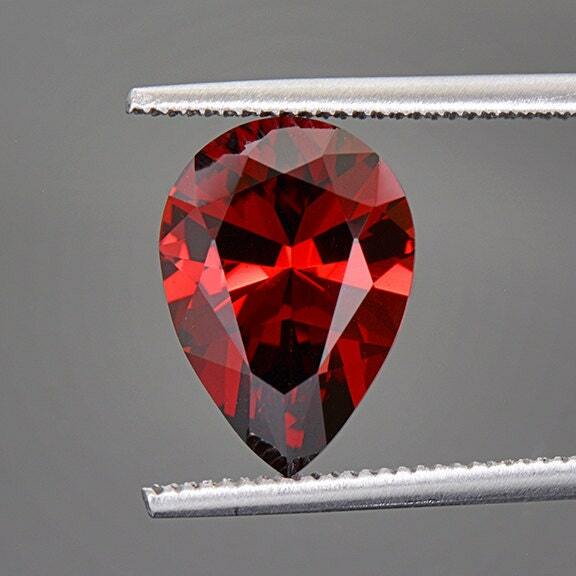 The stone glitters stunningly in the hand and out in the sun it gleams like a perfect Ruby. 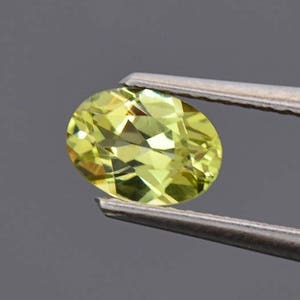 The custom cut pear shape is an excellent candidate for jewelry, particularly a drop pendant. 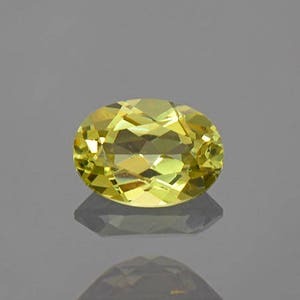 This stone was designed and faceted by Brett Kosnar of Kosnar Gem Co. during June 2016. Enjoy!